Every district in Busan city is connected by the subway line. Busan’s subway named Humetro, you can find many information from the official website or this blog post. Humetro, which combines the words ‘human’ and ‘metro’, implies the importance of the metro system for human. I think the name Humetro describes the exact condition of people using the subway. 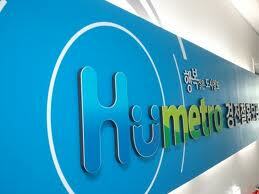 The air conditioner inside Humetro will adjust the comfort air according to the season. It will blow warm air in the winter, and will blow cool air in the summer. In the last Saturday of last month (November 26th, 2011) I had a chance to have a Busan city tour held by International Office of Pusan National University. The tour route devided into two options; the first packet: City Hall → Busan Cinema Center → Nurimaru APEC House → Haeundae Beach → Busan Museum, the second packet: Jungang Park → Busan Modern History Museum → Songdo Beach → Dongsamdong Shell Midden Museum → Taejongdae. Whoever of the foreign students can join, me and my Indonesian friends choose the second packet tour. I’ve been 3 months in Busan but not yet write something about this city. 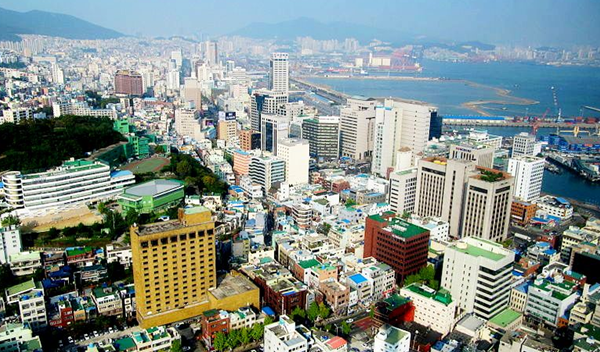 Busan is South Korea’s second largest metropolis after Seoul. By any chance, Busan is the sister city of Surabaya (yay! my city). If you ask me how long to catch Busan from Seoul, it takes 2 hours 40 minutes by KTX (Korea Train eXpress) or 6~7 hours by bus.